Thanks for this race report. I've been trying to figure out whether to do Steamtown. While forums are helpful, the coherency and the DATA that you provide through each mile is really insightful. Good luck in NY. If Steamtown doesn't break me, perhaps I'll see you for NY. I really enjoyed your race report. 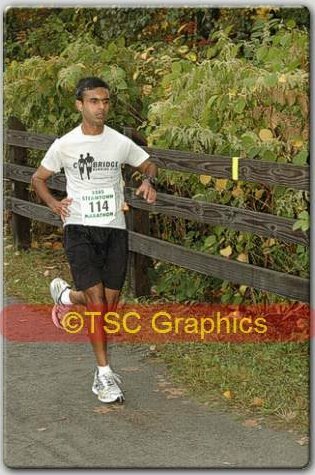 Im gearing u for Steamtown next weekend as it will be my second marathon. 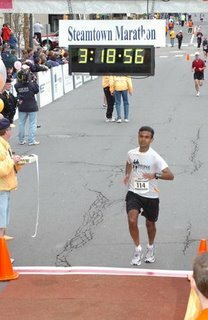 Amazingly, I qualified for Boston at my first marathon (ong Island) in May of this year. I am running Steamtown because I have heard amazing stories about the course, although I dont feel as prepared for this marathon as I did my first. Obviously Im a bit nervous that I wont even do as good as y first marathon. Thanks again, your mile by mile report was great! Good luck Caitlin! Steamtown still remains one of my fav marathon experiences. I'm sure you'll love it. Enjoy Boston too!